If you are wondering what is happening in Hamburg, the Hamburg webcam can provide you with an insiders look into this beautiful city. Hamburg has the honor of being Germany’s largest port and commercial centre. It is the birthplace of Brahms and Mendelssohn. It is the second most populated city after Berlin. The city is made up of 755 square km. It is known as the Free and Hanseatic City and one of the smallest cities in the 16 Lander of Germany. Hamburg is still one of the free and independent cities (a hold over from medieval times). Hamburg ranks number 2 after New York City as the city with the most foreign consulates in the world. It is a large shipping hub that sees plenty of action. The city is always a bustle of activity with people coming and going. Over 15000 ships pass through Hamburg each year. This cosmopolitan setting is rife with canals, lakes and parks that balance out the urban vibe. Sadly much of the city was damaged during WWII and many historic buildings were badly damaged, but Hamburg has done a great job of relaying that historic feel. It is located on the northern most part of the Elbe river lending to its panoramic scenery. This city has a lot to offer that you can access via a live cam. Population: There are approximately 1.8 million people. 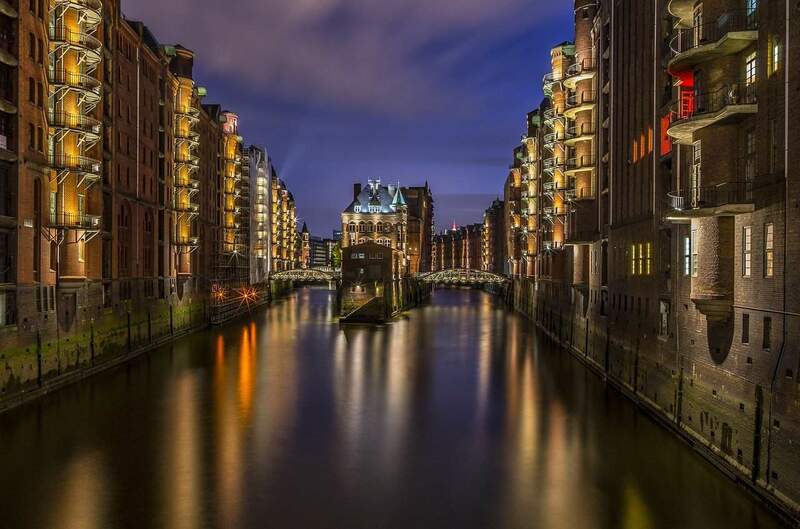 Main Attractions: There is plenty of attractions in Hamburg. There are over 250 centres for research in Hamburg. Two exceptional universities. There are six museums some dating back to the 1600’s. Music is always a feature in this city.